How can South Africa best combat its huge unemployment problem? A few years ago, Thabo Ngwato's job prospects looked bleak. After graduating from high school, he started studying at the University of Johannesburg - but was forced to drop out when his mother retired and cash ran short. For a year and a half he hung around his home in a poor township in Boksburg, east of Johannesburg, playing football with friends and occasionally making job applications in town. He got no response - not a surprise in a country with one of the world's most persistently high youth unemployment rates. In South Africa, a record 5.5 million young people are searching for work unsuccessfully, many living in slums far from big employers. But one day a friend mentioned to Ngwato he had found work through Harambee, a South African "youth employment accelerator" that links talent-hungry businesses with promising poor kids. "The best description I've heard is that we're a dating service and a finishing school," said Lebo Nke, an executive at the Johannesburg-based social enterprise, which since 2011 has helped more than 50,000 youths find work, including Ngwato. 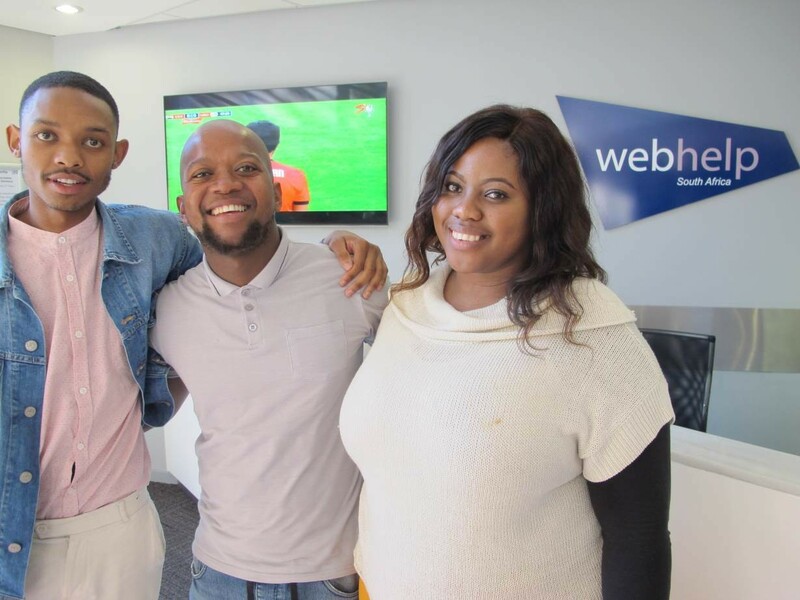 For the past two years, the 23-year-old has worked at a Johannesburg call centre, earning enough to support his mother and nephew. He recently bought his first car to speed up his three-minibus trip to work. "I know how to network, look for employment. The skills are ones I can take anywhere," he said. Globally, South Africa has one of the highest unemployment rates at 26 percent, a figure that has steadily increased over much of the last decade. Among young people, things are worse. One in three aged 15 to 24 are not employed, studying or in any kind of training, according to 2018 figures from government agency Statistics South Africa. The reasons include a public education system with high drop-out rates, slow economic growth, black empowerment schemes that have benefitted only a few, and poor leadership by former President Jacob Zuma, who resigned in February facing corruption charges. But South Africa's apartheid legacy plays a central role too. Many poor people still live in townships purposely built far from urban centres, and with little access to cheap public transport. They have few prospects of finding work they can reach, or teaching their children how to get it. "It's the geography part that's often missed," said Jak Koseff, head of Tshepo 1 Million, a youth jobs push run by Gauteng Province, where Johannesburg is located. "It's really at the heart of the problem." To change that, Harambee sends young recruiters - who it calls "feet on the streets" - into deprived townships and collects contacts of young people hoping for jobs. It then invites some into its offices for a day to gauge their interests and skills, test their analytical thinking, and help them create an email account and CV. It also offers advice on everything from how to dress for a job interview to the kinds of questions they might be asked. Those without interview clothes can pick up an outfit free. Young people who show promise for challenging jobs get additional assessment and then vocational training - as much as eight weeks for call-centre work - once a specific opportunity is identified. "They teach you things like how to manage if you get a difficult boss," said Ayanda Figlan, 25, currently on the training programme. "Someone might offend you but you can't fight with them and you can't cry." Candidates then wait to be called for an interview when one of the 425 businesses Harambee partners with - from Nando's restaurants to Microsoft and Standard Bank - come looking for chicken-grillers or a front-desk clerk, Nke said. Matches depend not just on an applicant's aptitude and skills but how far they live from the job. "You have to consider the cost of maintaining that job," Koseff said. In some cases, transport costs will put a worker into debt, he added. Employers pay a share of Harambee's spending to prepare a candidate if they hire one. A big pool of well-coached applicants has helped them increase the diversity of their workforce and find staff who stick around, they say. 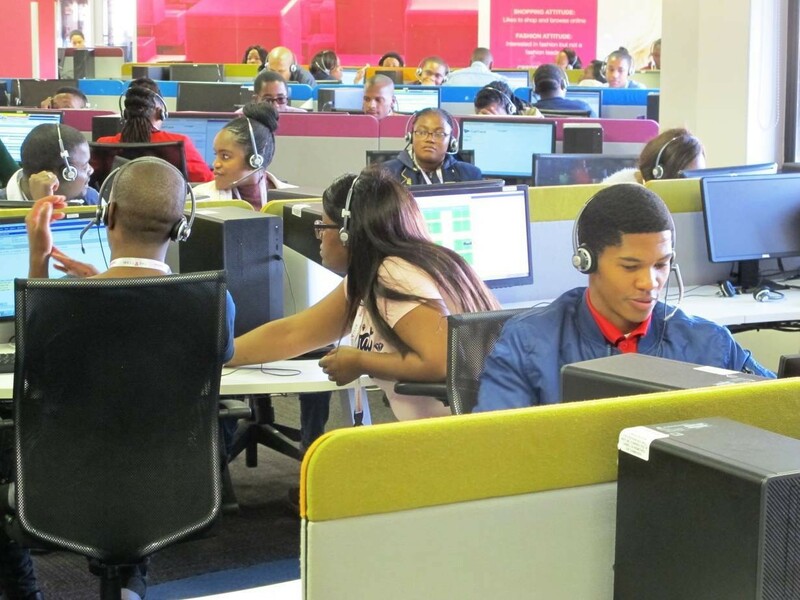 Cathy Kalamaras, managing executive for people at Webhelp SA, the Johannesburg call centre where Ngwato works, said on average more than 60 percent of call-centre staff quit before two years. But the two-year retention rate with Harambee workers is 97 percent, she said. "They're willing. They're hungry. Some are the main breadwinners of the family," she said. "What I absolutely love about sourcing from Harambee is that they come with that motivational factor." Tailored training also means Webhelp hires one in two Harambee applicants interviewed, compared to one in six generally, Kalamaras said. That brings major cost and time savings - one reason the company has expanded from 350 workers five years ago to 4,200 today, she said. 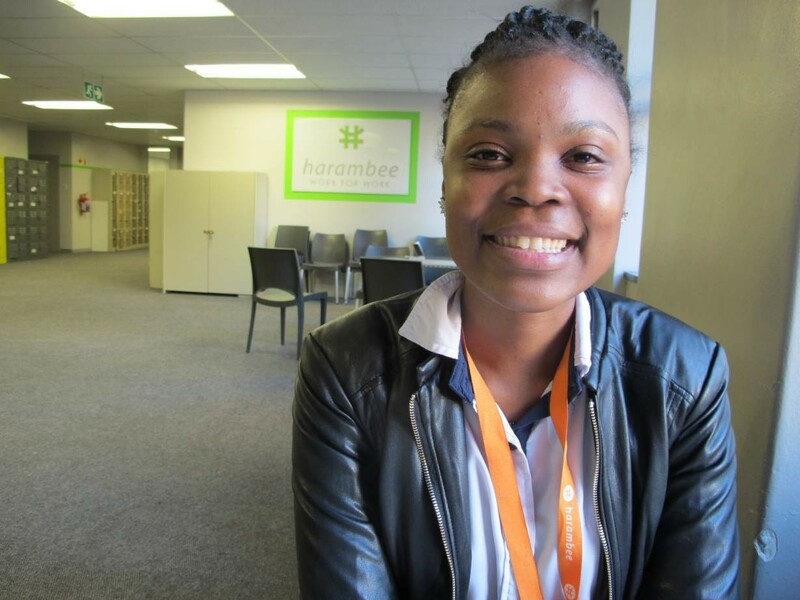 Oratile Phekoayane, 29, a Webhelp worker hired via Harambee, said she previously had no idea call-centre jobs even existed. And before Harambee's training, she was nervous in interviews, she said, fiddling and not making eye contact. Now she greets visitors at Webhelp with a smile and confident handshake. "I see myself as a business partner here," she said. "I'm looking to grow, maybe join the executive side." Efforts to bootstrap more young people into jobs have gotten a boost from South Africa's new president, Cyril Ramaphosa. The businessman has pushed sometimes reluctant companies to put 1.5 percent of after-tax profits into funding year-long paid work experience for unemployed youth. The Youth Employment Service scheme aims to give a million jobless young people work experience over the next three years. Nke said this will likely increase demand for job-matching efforts like Harambee, which operates in Cape Town and Durban as well as Johannesburg, and receives much of its funding from businesses and international donors. Ngwato, meanwhile, said the skills he learned at Harambee and at work are filtering back into his township neighbourhood. He now advises his peers on how to find work, and has started a soccer team which leads to chances to talk with other young people. "People come up and say, 'I like your car. How did you do that?'" he said. "I take it upon myself to tell them about all the stuff I've learned." "It's just a lack of information that makes people think there's nothing out there."